We’re wrapping up our look at the most popular do-gooders in the 1990 Marvel trading card set! Learn about the Punisher, Wasp, Iron Man, Storm, Longshot and more! Don’t Watch This New Clip From Captain America: Civil War! With just weeks to go until the release, can you POSSIBLY resist this minute long video from the movie? Cape Crisis #182 – Wonder Woman Will Save Us! 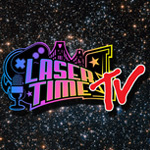 The Laser Time crew are watching the film and then coming straight to the studio to livestream our reactions, and you can join in at 6:30PM Pacific tonight! We X-Plain X-Force In Our Newest Superhero Spotlight Video!